← The 1983 Planning and Development Atlas – a forgotten document? The official number of tribes in Liberia is 16 but an estimated 31 different languages are spoken in the country. They usually are subdivided into three language groups: the West Atlantic or Mel group in western Liberia, the Mande group in the north and northwest of the country, and the Kru speaking peoples, predominantly living in the southeast. Not surprisingly, in view of the creation of the republic by freed slaves from the United States, the official language is English, but most common in the streets and households of the main cities is Liberian pidgin English, usually spoken as a second language. We focus here on the Kru and Grebo tribes of the Kru language group. Each tribe in Liberia has its own culture, history, customs and traditions though only one, the Vai, living mainly in Grand Cape Mount County, had independently developed a script of its own, as one of the few tribes of tropical Africa. This may explain that the known history of many of the other tribes shows important gaps, as we will see below. The Kru are no exception to this blank page in tribal history. There exists very little information on the origin of this tribe. The first recorded documentation dates from the 1400s when Portuguese traders met with Kru people on what was subsequently called the Kru Coast, part of the larger Malagueta or Pepper Coast stretching from the Galinhas in the west to Ivory Coast in the east . The Kru Coast then was inhabited by three related but distinct tribes: the Grebo, the Sapo and the Kru. 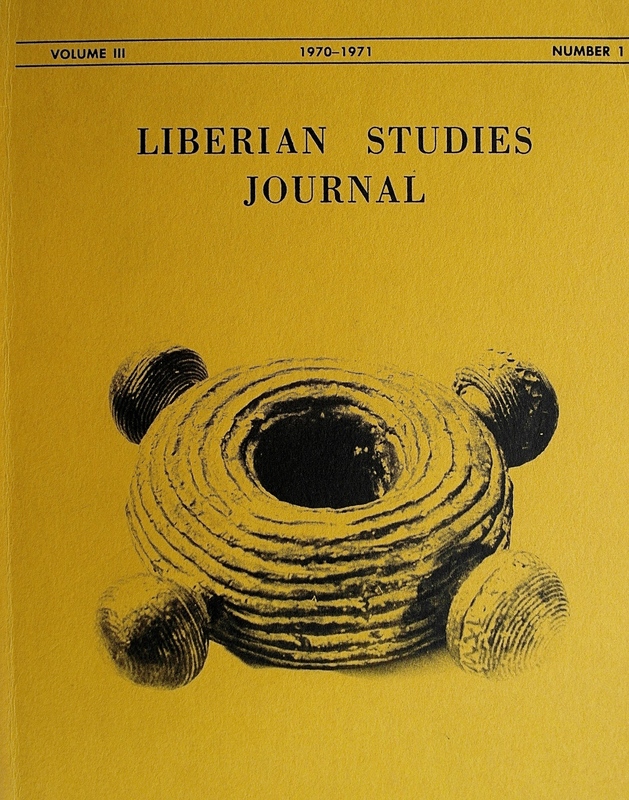 The illustration shows the cover of the Liberian Studies Journal 1970-1971, vol. III, number 1. 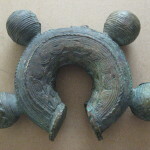 The cover photograph is a brass ring, ‘use unknown’, collected 1965 near Barclayville, Grand Cess Territory. 10 1/2″ wide, 3″high, 27 lbs. (Sven Holsoe Collection). 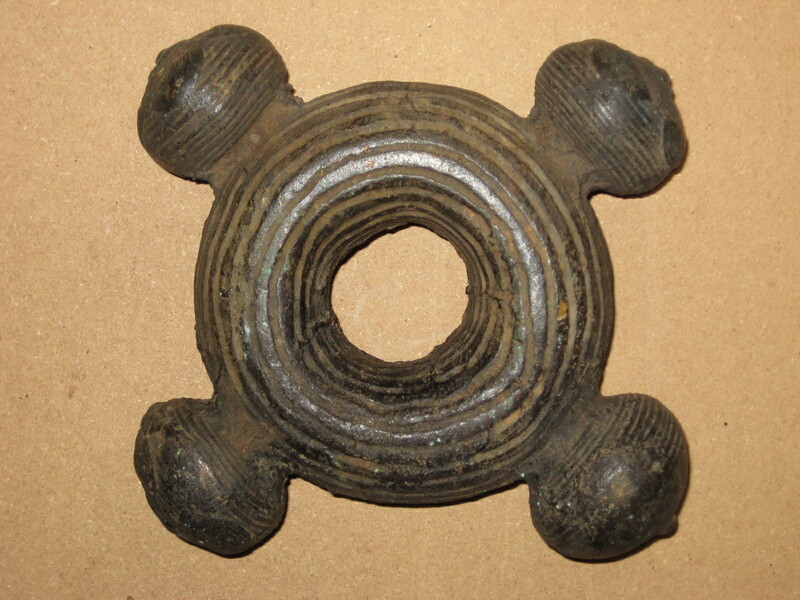 The origin of these artifacts is not known with certainty, except for the fact that they were made and used among the Kru and the Grebo in southeastern Liberia. According to Siegmann, the Kru and Grebo believe these objects to be living creatures that can be found in creeks, rivers and lagoons. They call them ‘tien’,‘nitien’ or ‘Dwin’ meaning water spirits or ‘Gods of water’. A variety of powers are attributed to them including the ability to stop wars, found villages, heal the sick and guarantee fertility. They are also capable to catch people crossing these streams. The Kru and Grebo believe that the ‘tien’ live in the water but can be caught and brought to town where they may be enjoined to serve as protector or guardians (Siegmann, 1977, p. 82). Field work carried out early this year – by a source known to me but who prefers anonimity – learned the following. It is important to mention that the information was told by a Grebo source, so we should be careful with attributing it also to Kru culture and history. 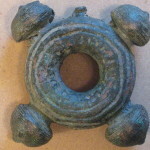 “The rings basically belong in a shrine, with the high priest or Bodio as the custodian. It cannot be said how they are made; in fact, they are said to ‘appear’, traditionally from a sacred site on a stream or creek, in the forest. 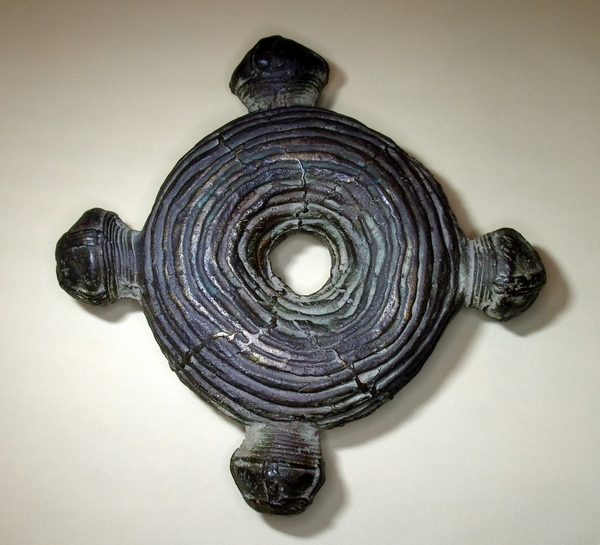 The rings are said to appear from the deep bottom of the creak, ‘walk’ to a rock and are found by the high priest. When the rings – usually in a pair – are emerging, the priest ‘hears’ the noise caused by the rings entangling each other and then collects them. The rings are normally stored in the home of the priest into which no ‘stranger’ is permitted entrance. At times, rings are placed at the entrance for males – never the entrance for women – of huts, which huts are round. 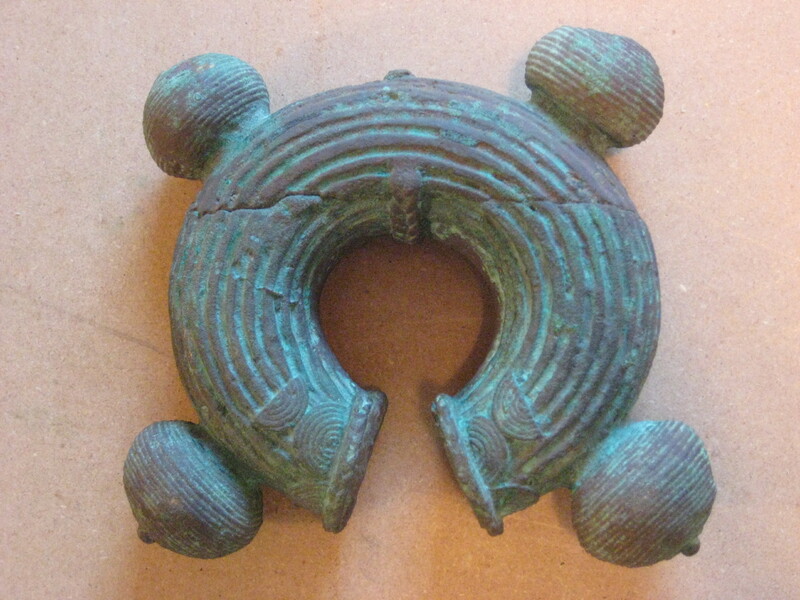 It is extremely difficult to collect information on these rings, be it from Grebo or Kru origin. Disclosure of information may be interpreted as revealing a tribal secret and hence is punishable, maybe even by death – reason why my source prefers to be not mentioned by name. than convenient.” And he continued that “the ‘Manilly’, worth a dollar and a half, would be a fearful currency to make large payments in, being composed of old brass-kettles, melted up, and cast in a sand-mould, the weigh being from two to four pounds” (Nathaniel Hawthorne, ed., 1845, p. 106). 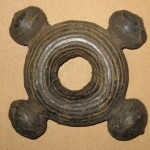 Siegmann writes that Horatio Bridge in 1853 reported that he had seen them being cast in sand-moulds on the beach near Sasstown in southeastern Liberia. 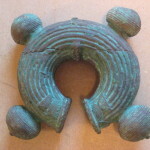 Scott Shepperd, a well-known expert on these Kru or Grebo rings, finds this difficult to believe “(…) since these brass rings are not sand cast but produced through the lost wax process. (Besides), I don’t think it is possible to make a 3 D objet using a sand mould.” (source: correspondence between Scott Shepperd and the present author, FVDK). 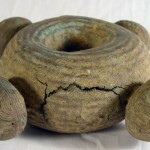 Siegmann/Bridge also describes how some rings were made by melting down old brass kettles, others were made using the so-called lost wax technique of casting. Bridge must have seen more and bigger objects than in 1845 since he mentions that their size varied from less than two inches to more than ten inches in diameter whereas a big one could weigh as much as twenty-five pounds. 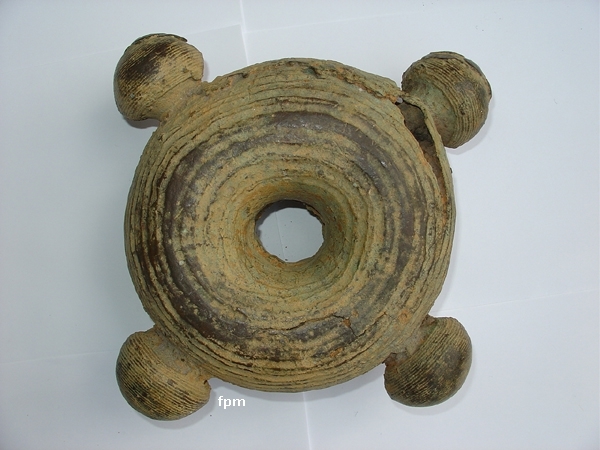 Some objects were solid brass, while others had a sand core. 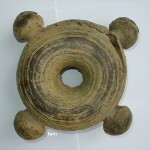 Most objects consisted of an unbroken circle with four knobs, but a few were open on one side. 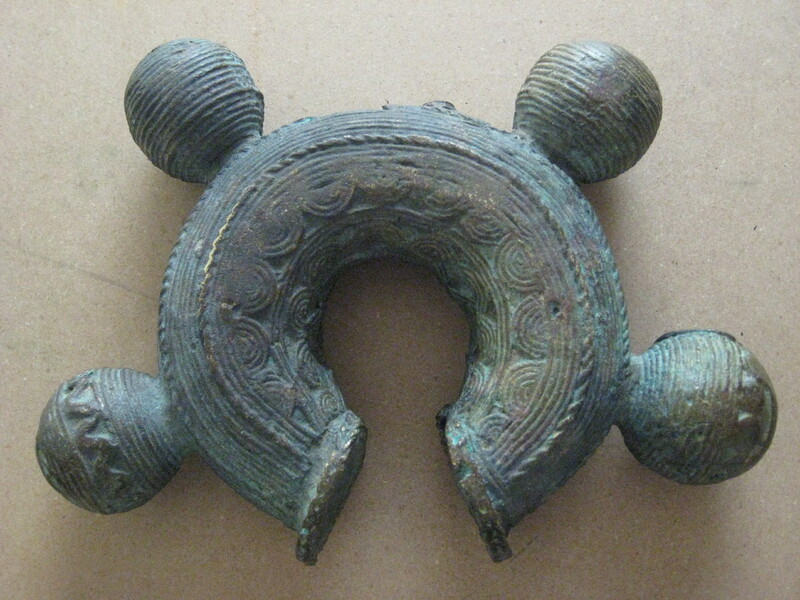 Siegmann, giving the impression he quotes Bridge, reported that these objects were called ‘Kru money’. (Siegmann, 1977, p.82). Very recently, the American expert and collector Mark Clayton acquired a ring in Liberia and he had a radiocarbon testing carried out on it in a New Zealand lab that showed the following result. The piece’s age range with the highest probability is 405 to 459 years old, the middle point of which is 432 years – meaning the piece that was tested dates from around 1580! Even, the outermost theoretical range was estimated at between 377 – 541 years. 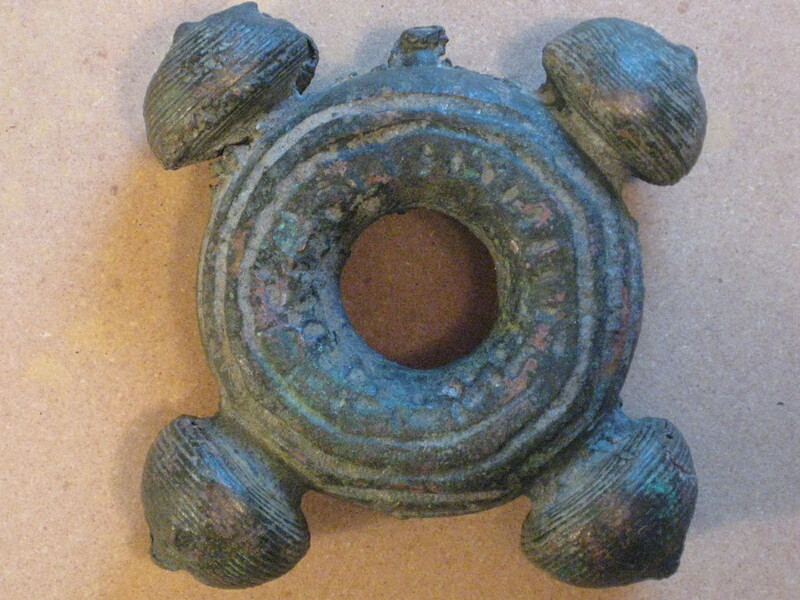 This means that some of these Kru or Grebo rings date back to the time of the early Portuguese traders! 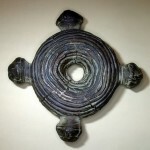 This is a revised and updated version of a previous text published by the author on his website Liberia: Past and Present of Africa’s Oldest Republic (2005), ‘Ritual object or ‘Kru money’? In particular I want to draw attention to the name of the American collector – Mark Clayton – that has been included in the updated version (added on January 25, 2016). Also see Part II. 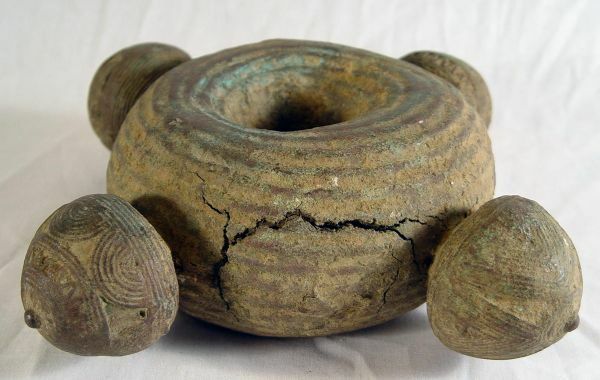 To be continued: Part II – Kru money or ritual object? See Post dated April 25, 2014. Hawthorne, Nathaniel (ed. ), ‘Journal of an African cruiser’ by Horatio Bridge, US Navy officer (London, first edition, 1846; and 1853 edition). Holsoe, Svend E. (ed. ): Davis, Ronald W., ‘Ethnohistorical studies on the Kru coast’, Liberian Studies Monograph Series Number 5 (Newark, Delaware, 1976). 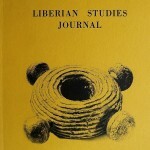 Liberian Studies Journal, Vol. III, number 1, 1970-1971 (Newark, Delaware, 1971). Schwab, George, ‘Tribes of the Liberian Hinterland’, Report of the Peabody Museum Expedition to Liberia. With additional material by George W. Harley (Cambridge, Massachusetts, 1947). 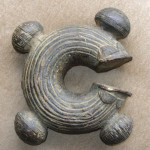 Siegmann, William C., ‘Rock of the Ancestors: namôa koni’, Liberian Art and Culture from the Collections of the Africana Museum, Cuttington University College (Suakoko, Liberia, 1977). This entry was posted in agriculture, Barclayville, Culture, Grand Cess Territory, Grebo, Grebo rings, Horatio Bridge, Krahn, Kru, Kru Coast, Kru money, Kru rings, Language groups, Liberia, Liberian Studies Journal, Malagueta Coast, Mark Clayton, Nathaniel Hawthorne, Pepper Coast, Portugal, Portuguese traders, Ritual Killings, Ronald Davis, Sapo, Scott Shepperd, Siegman, Sven Holsoe, Vai. Bookmark the permalink.